Homecrest Outdoor Living offers all of the essentials to create the most beautiful, comfortable and functional outdoor living space you could possibly imagine. 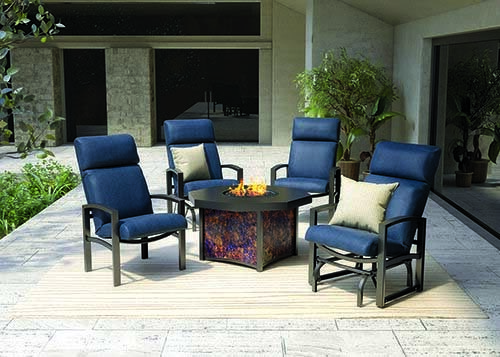 From sleek seating options to elegant fire tables, Homecrest’s collection of patio furniture will make your yard warm and inviting. 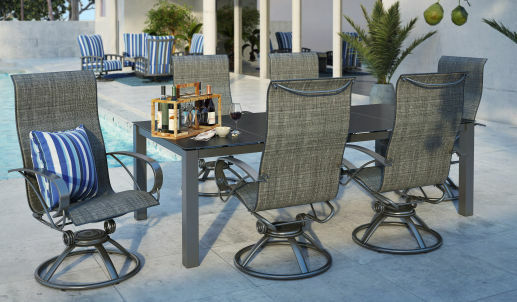 The ultimate in sophisticated, American-made patio furniture, Homecrest has been bringing luxury and comfort to homes since 1953. They’re also known for having the only counter- and bar-height swivel rocker chairs in the industry. 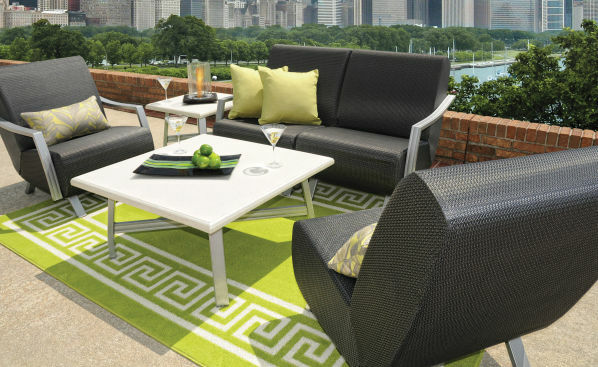 We encourage you to visit their website for more information about their full range of patio furniture. At Homecrest, they strive to meet or exceed standards set by the EPA, as well as by the industry, for green, lasting pieces. 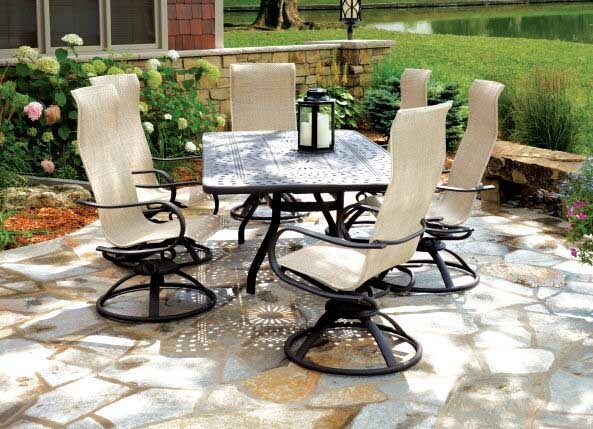 In fact, every piece of patio furniture is made from durable materials, such as wrought iron, aluminum and steel, and is packaged to make as minimal an impact on the environment as possible. Homecrest furniture is known to last well beyond 30 years, with replaceable parts available, including slings, to extend the life even further. 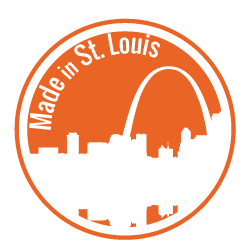 Aspen Spas of St. Louis carries trend-setting pieces from Homecrest Outdoor Living. Some of the more popular options include the single glider and gliding ottoman, swivel balcony chairs, fire tables, Cirque, Airo2, Natural Series table tops, comfort recliner and, of course, the iconic original swivel rocker. 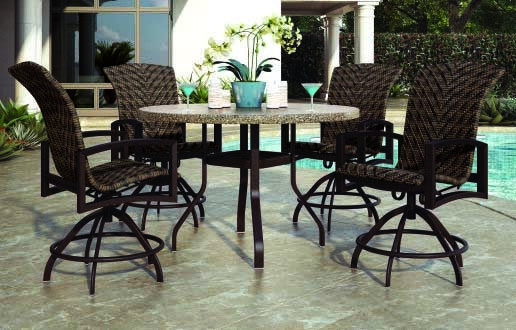 These patio chairs are available in bar-height and feature a swivel motion for ease of use. 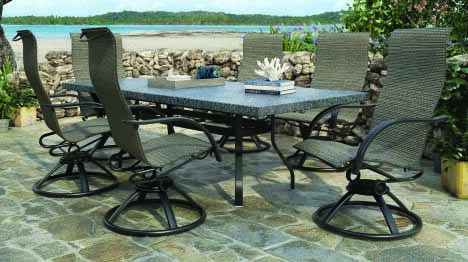 Homecrest patio furniture is available in numerous distinct collections with varying materials, fabrics and finishes. They create cushions, sling and woven chairs, metal chairs and tables and breathtaking fire tables, in addition to an array of pillows and other accessories. 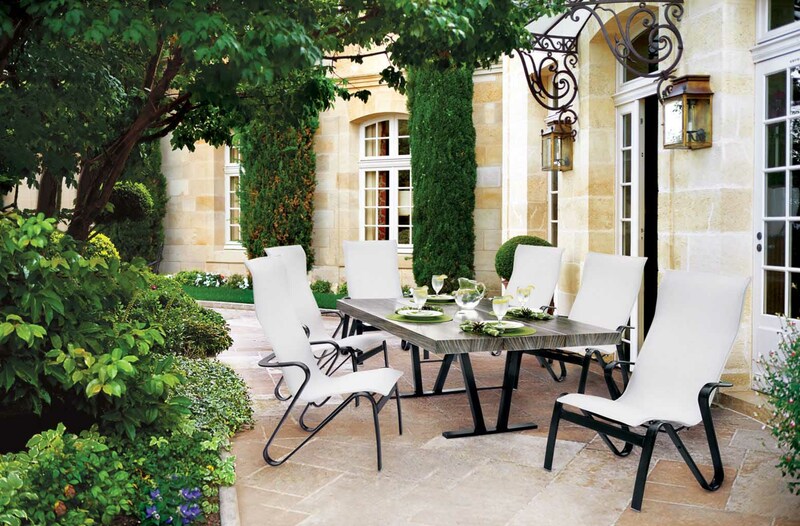 To see all of their beautiful collections, we encourage you to visit the Homecrest website. Create your ideal outdoor living space with Homecrest patio furniture from Aspen Spas of St. Louis. We invite you to visit our showroom to see these stylish pieces for yourself, or to call us today at (314) 328-6008 with any questions.